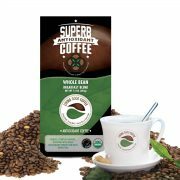 Superb Antioxidant Coffee – Organic Breakfast Blend is the perfect choice for the start of a busy day. Through our triple patented Healthy Roast Process™, we are able to retain much of the antioxidant properties and nutrients found only in healthy green coffee beans. 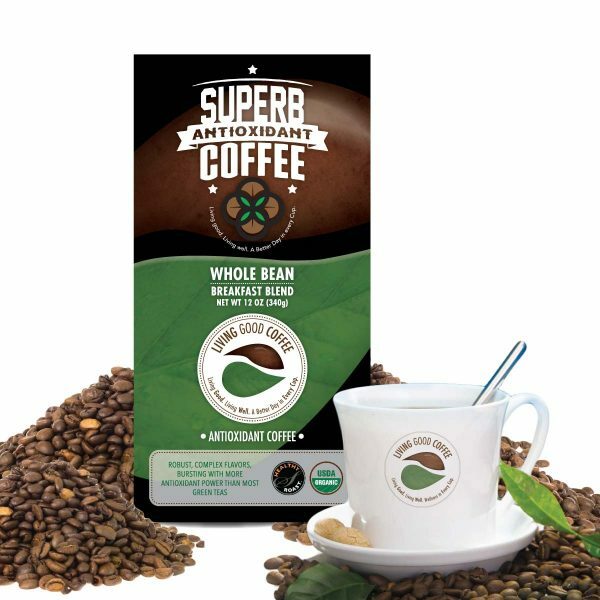 The result is a Superb Antioxidant Coffee that has Six (6) times more antioxidants than any leading coffee in the world! WOW! But don’t let this healthy coffee fool you! As far as taste? Well…simply the best. Now you can enjoy your coffee on us and lose the guilt! Discover for yourself! Drinking coffee will never be the same! Coming soon to a local Health store near you!